Shhh. I have some modern day mom confessions to make. I have realized after hours of scrolling my Facebook feeds (no judgment) that one of these things is not like the others. That’s right. I’m an aberration to the Mama Nation. Why? 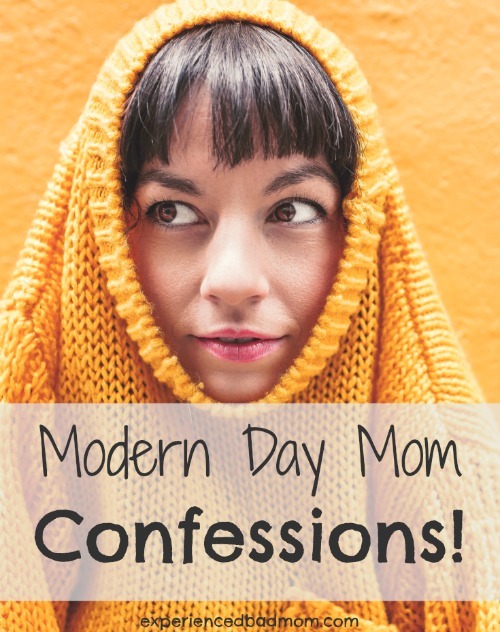 Well, take a look at my modern day mom confessions and see if you can relate. Maybe I’ll find another odd ball and we can hang out. I don’t belong to Costco or Sam’s Club. I tried a Costco membership once and felt like I just bought stuff–and bigger sizes of stuff–that I didn’t need. The Gilmore Girls reunion does not interest me. That’s because I stopped watching Gilmore Girls after Rory and Dean broke up and she started dating Milo Ventimiglia’s character. I didn’t like that little punk. Yes, I think this was over a decade ago. Speaking of Milo Ventimiglia, he’s on that new show, This is Us. I watched the first two episodes and it’s well-made. Still, I just can’t continue watching. It comes on at 10 pm (zzzz) and is a drama (zzzz). I also tried watching Parenthood online because everyone raved about that show. But I stopped. I think I made it halfway through season 2 before I admitted to myself that the story line was moving as slow as molasses. I drink wine, but I also like beer. You don’t see a lot of memes about beer, though. Maybe on the daddy blog websites? I don’t live in yoga pants. I’m not even sure I have a pair. I think I bought some stretchy pants from Lands End that are athletic yoga-esque pants. But they are boot cut, so I don’t believe they count. I’ve never read a Harry Potter book. My kids haven’t expressed interest, either, even the one who likes to read. Now that you have heard my deep, dark modern day mom confessions, perhaps you are itching to share your own. Do tell me something about yourself that goes counter to what every other mom, at least on Facebook, seems to be doing. This is us- like I need to cry anymore tha I already do. Ha ha ha about Costco! That’s what I would do, too, plus add beer to the cart. 5. “Excuse the mess, my kids are making memories” doesn’t fly in my house. 10. I mean if I’m sleepy. Ooops I hope I didn’t spoil it for you between Rory and Dean in Season 1 or 2 of Gilmore Girls circa 2003 or whatever it was, LOL! Sounds like we could definitely hang! I am actually with you on most of this! You’re not as edgy as you thought!! LOL!! We only have a Costco membership because my parents get it for us for free (meaning, even they don’t pay for it). I only use it once or twice a year….for the exact reasons you mention. I never watched Gilmore Girls and have no interest in starting now! Haven’t watched that new show either. I can barely find 30 minutes to watch DVR’d episodes of Big Bang Theory with my husband these days. There’s no time for a new show. 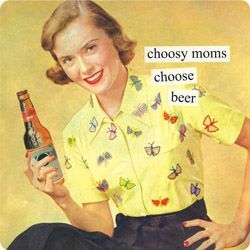 I’m definitely partial to wine, but will drink beer if it’s offered. Yoga pants are great for bedtime. Though we all do enjoy the Harry Potter series at our house. Sometimes it’s fun to get lost in a little fantasy! Thanks for sharing at the #happynowlinkup! Sorry I’ve not popped in sooner but I was busy watching Gilmore Girls, shopping at Costco and rereading Harry Potter for the 47th time. Ha! while I am a fan of those three, I have to say I’m not fond of any of the Real Housewives, whether they be in Orange County, Dallas, Vancouver or whatever. Can’t stand those. Are you the same? Or have we got to find something else in common? I have never seen a Gilmore Girls, Parenthood, or This is Us. We’re not really into TV. Also, I don’t think those club stores save any money. I belonged to BJs once and I priced it out: most stuff, you just buy the generic brand in regular sized boxes at the regular grocery store and it’s a better deal per ounce than getting the huge bulk crate of name brand stuff at Costco. I think their milk and diapers were cheaper, but not enough to justify going there when it was farther away. Great minds think alike, Jenny. I always thought if I can buy what I need at the store within my weekly budget, why would I join a big store to just buy more stuff? I belong to Sam’s Club but only because I was gifted with a membership last year. It expires January 11th and I won’t be renewing. I’m not into Gilmore Girls and not sure I’ve ever watched an episode. I don’t do wine or beer. Jagermeister is my drink of choice. Sounds like we’d get along! It does sound like we would get along!! One Messy Mama recently posted…Will My Children Always Talk to Me?